If the airspeed is decreasing or below the desired airspeed, add power. Use the attitude indicator to lower the nose and level the wings. 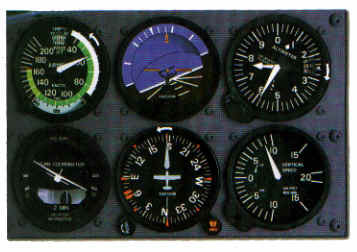 If you suspect the attitude indicator is inoperative, apply just enough forward pressure to reverse the movement of the airspeed indicator and altimeter and to start the VSI moving toward zero. If you suspect the attitude indicator is inoperative, use the turn coordinator to level the wings. If the airspeed is increasing, or above the desired airspeed, reduce power to prevent excessive airspeed. 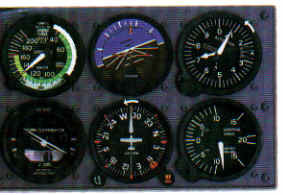 Use the attitude indicator to first level the wings and then gently raise the nose to a level pitch attitude. If your suspect the attitude indicator is inoperative, use the turn coordinator to level the wings. If you suspect the attitude indicator is inoperative, use the altimeter and VSI to recover from the dive after leveling the wings. Apply just enough back pressure to reverse the movement of the airspeed indicator and altimeter and start the VSI moving toward zero.